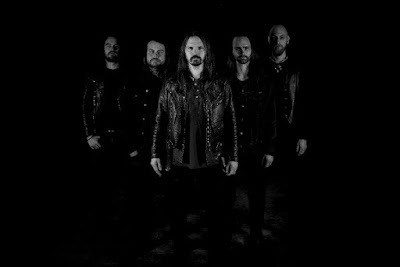 Swedish stoner metal band Nocturnalia have just released a lyric video for their song "Beyond The White" over at Doomed and Stoned. The song is taken from their upcoming album "III: Winter" which will be released in September 2019. In the mysterious vast lands of Scandinavia, where ancient monuments of stone erecting towards the sun, dark and heavy rock quintet Nocturnalia resides. With thunderous and organic sounds of classic rock, ritualistic drum patterns and sinister yet beautiful storytelling they create a hypnotizing blend of music and impressions characterized by epic soundscapes and sublime winding melodies. The eerie and cold yet peacefully quiet atmosphere of the harsh Scandinavian winter manifests itself clearly in the cultural heritage throughout history; the hostile conditions, the absence of daylight, famine and stagnation have put emphasis on humanity’s endless and determined struggle for survival. These occurrences have shaped the tradition of music, philosophy, poetry, art and folklore connected to our nature and it’s mysticism, and has also been the primal source of inspiration for Nocturnalia. With influences ranging from classic rock acts such as Rainbow and Black Widow to ‘Hammerheart’-era Bathory and traditional folk music woven together they have shaped their sound into something quite familiar but at the same time remote and unexplored. The spiritual aspect of their music has also been an important part of the song writing as well as their intense and fiery live performances - to let go of habitual structures and allow the music to resonate with higher levels of the consciousness and deeper within unconsciousness. To let creativeness take form on its own premises. To put meaning free from words into music. The idea behind Nocturnalia saw its first light in late 2011 when founding members Kalle Elfvin and Dennis Skoglund started to write material which eventually became their first 7” single “Until the morning light” followed by 12” single “Night rainbow” and their first full length album ”s/t” (2013), released by local label Gaphals records. After some touring around Europe and a couple of lineup changes they evolved musically into something more complex and introspective. They entered the studio to record their sophomore album “Above below within” (2015), also released by Gaphals records. After the second album they decided to take a short hiatus from song-writing and touring in favor of other musical and creative projects - Drummer Dennis Skoglund is a member of the rock band Night and occasionally a live musician in dark ambient/folk music acts Forndom and Draugurinn. Guitarist Linus Lundgren is also a member of occult rock pioneers Year of the Goat and singer Linus Ekermo is the bass player in label mates Oblivious. 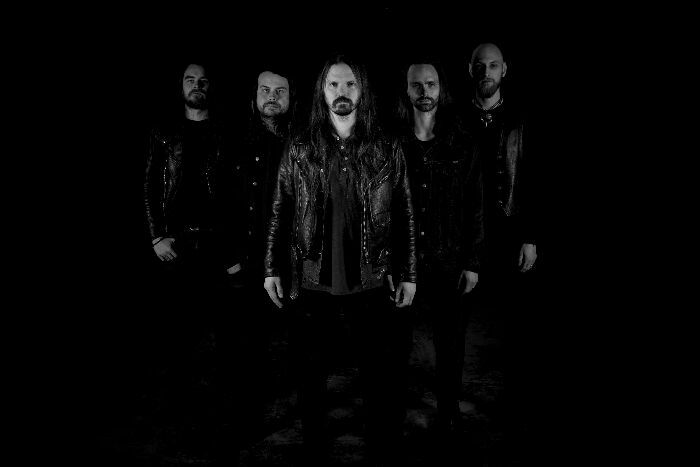 In early 2018 they started to write new material and later that year they recorded their third full length album “III: Winter”, to be released by The Sign Records in September 2019.